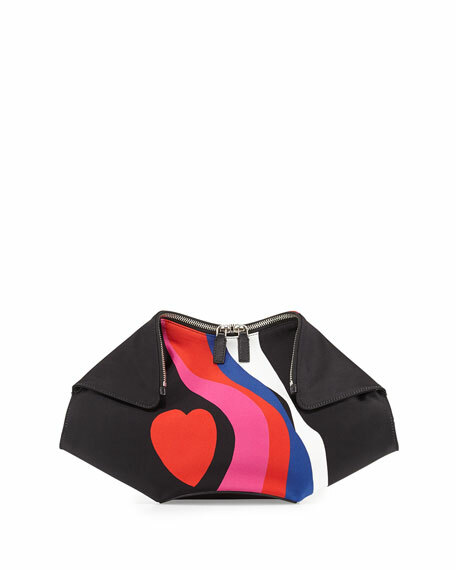 Alexander McQueen heart-print leather clutch bag. 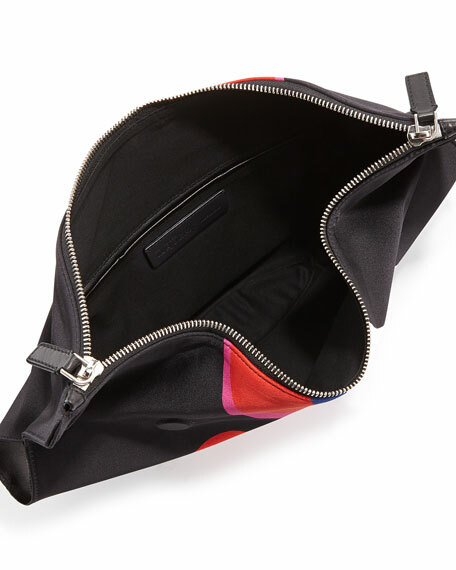 Two-way zip top; fold-over corners. 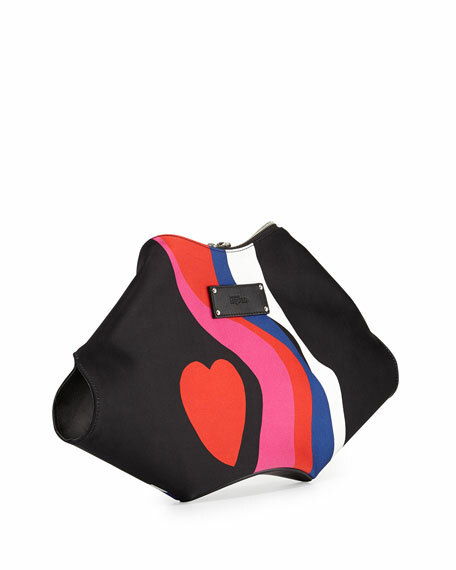 Hexagonal shape with arced bottom. 7"H x 8.2"W x 2.5"D.